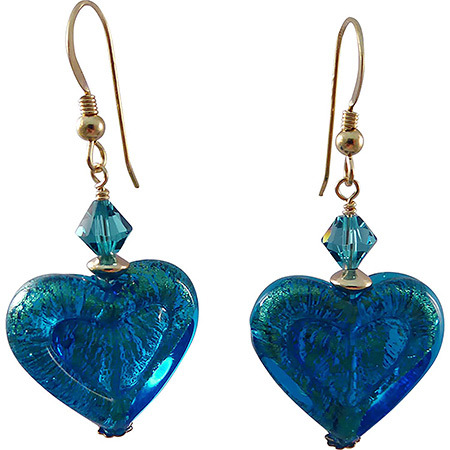 Make these earrings for Spring and swing into Summer with our double hearts. They are transparent aqua over 24kt Gold Foil giving them a rich color. They are easy to make with just a few components. If you can master wire wraps, you can make them in about 5 minutes. Components required are below. Add the quantities to the boxes and click to put them all in your basket.